Technology is moving rapidly and the growth in ‘big data’ and mobile in today’s modern world has resulted in a rise in cloud-based it solutions coming to the fore. Midshire’s in-house IT experts have developed a range of flexible, scalable and robust cloud products and services, to keep pace with our customers ‘growing needs. ‘Cloud’ is the industry buzz word used for describing how ‘big data’ is stored in huge data centres, not actually in a real cloud as some people may think. Cloud desktop hosting give companies peace of mind that business data is safe, secure and backed up. 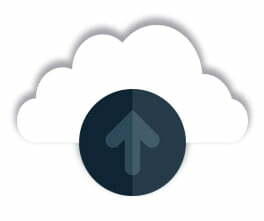 Our cloud offerings include hosted desktop solutions, cloud backup and server replication to the cloud. These solutions give you the ability to work at any time, anywhere; utilising a fast and powerful connection. All the time, safe in the knowledge that your data is securely stored and backed-up regularly. With a surge in the growth of ‘big data’, it has become increasingly more important for businesses and organisations to address how all of their data is stored, accessed and protected. Whatever your cloud service requirements, Midshire can help. Approximately 70% of SMEs now engage with the cloud in some way, with the fastest adoption taking place amongst millennials. By 2020, millennials will make up half of the world’s workforce, and these people are the most likely to understand and trust cloud based technologies. Cloud desktops, also known as a virtual or hosted desktops is a business solution that allows an employees’ desktop to be accessed anywhere, via the cloud. Midshire’s product, Desktop Monster enables users to work anywhere, with an internet connection, on any internet enabled device. The virtual environment is built around the individuals and business requirements, providing the software, programmes and storage you need, personalised to your business and its employees. By opting for cloud desktop services, you get all the benefits of an on-site server, but without the up-front costs of hardware and installation. You also reduce the need for on-site IT support to manage and maintain your servers and the network. With a cloud hosted desktop this is all included in one simple cost. Additionally, with the cloud comes increased flexibility. 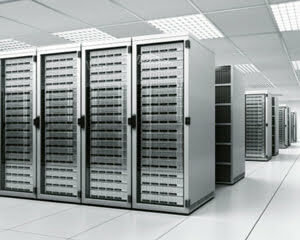 An on-site server will have physical limitations to the amount of racks, servers and space you can accommodate. Whereas in ‘the cloud’, your options are almost limitless. Modern day data-centres are equipped to deal with mammoth amounts of data on a grand scale. In the cloud, you gain the ability and flexibility to add and remove storage, and with hosted desktop you can add users and increase their personal allowances with great ease. When you buy a Desktop Monster cloud desktop hosting service from Midshire, it comes with complete peace of mind. All your business data is stored in our UK based ISO27001 certified facility and is backed up 3 times a day. Managed by our experienced and knowledgeable IT experts, your data is safe, secure and will be available whenever you need it.